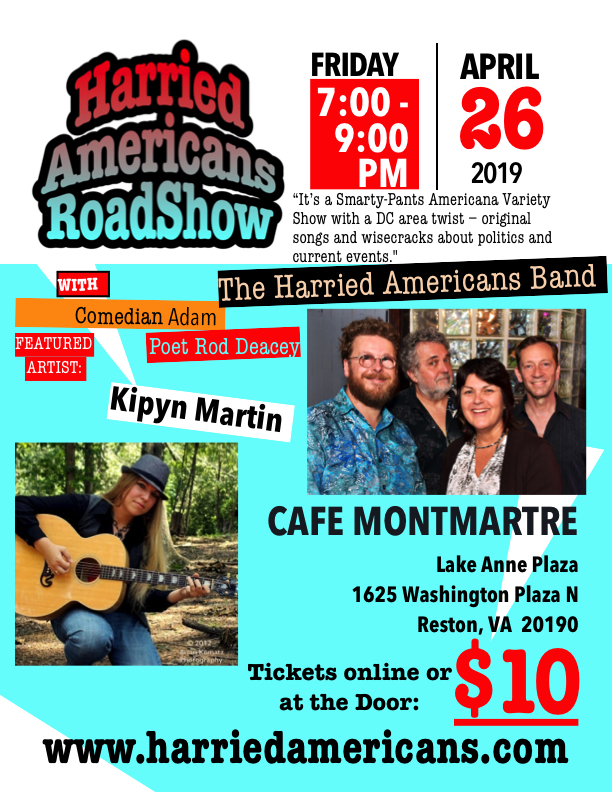 Cafe Montmartre – Harried Americans 4th Friday Roadshow! Our FOURTH Friday show returns to Cafe Montmartre, Reston, VA for 2019! Yippee ! We are working on the schedule for our special guests, so… stay tuned! The Harried Americans Roadshow will feature two hours of Harried Americans original smarty-pants performances, comedy, poetryand musical guests. You will be able to buy your tickets online or at the door for $10 !! 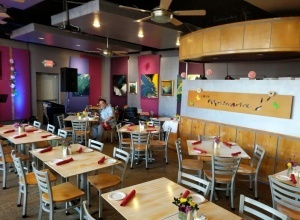 Cafe Montmartre - Harried Americans 4th Friday Roadshow! “A Smarty-Pants Americana Variety Show with a DC area twist – original songs and wisecracks about politics and current events."